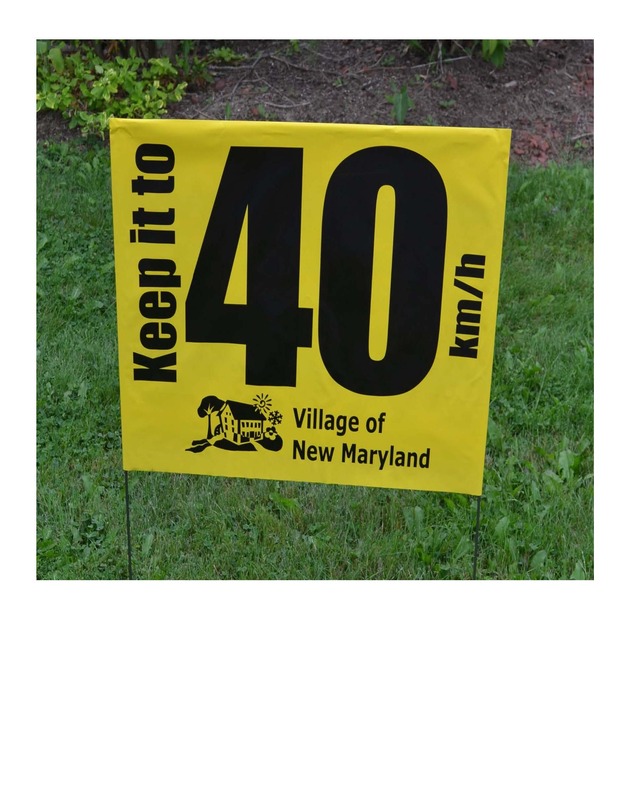 Help us remind drivers to ‘Keep it to 40’ on Village streets by placing one of these signs on your lawn. Signs are available at the Village office while quantities last. Stop by and pick one up today. Our office is open Monday to Friday 8:30 am to 4:30 pm (excluding holidays).